Let the star in you shine! Marketing your product on your website or YouTube is an increasingly powerful way to reach your audience—but once you’re mic’d up and live, will you be perceived as an expert or an amateur? Knowing how to come across “on camera” is an essential part of the actor’s craft. 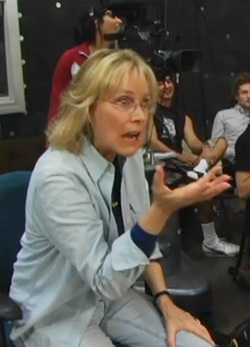 Laurie Burton Training uses video extensively as a teaching tool as it reveals in technicolor how clients come across to others while communicating or presenting. We are experts in training our clients how to be comfortable, clear and convincing on camera—essential knowledge for video marketing, or simply regular business communications held increasingly via Skype or video conferencing. 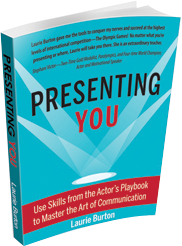 Laurie Burton Training will assess your “video personality” and help you refine and perfect your presentation. You’ll see the difference immediately with new tools that allow the star in you to shine. Contact us or book your breakthrough session online.